Admission: Admission is free. RSVPs are not required, but seating is limited. Join us on Tuesday, April 16, 2019, for "Defining and Defending the Borders of La Florida," the final installment of the 2018-2019 Experience UWF Downtown Lecture Series. Through time, Pensacola has been a landscape defined by shifting borders. It is one of the oldest, key tactical positions in North America. The strategic history of Pensacola dates from the initial settlement attempt by Luna in 1559 through the various Spanish, British, French and American periods of occupation. The use of Florida's geography for critical military campaigns spans several wars, including the War of 1812 and the Civil War. Panelists will underscore the impact on indigenous populations displaced through these European settlements and border wars. Florida's geography was also critical for European trade, agriculture and exploitation of natural resources, and harboring of fugitive slaves. In many ways, it was a wild and contested borderland. 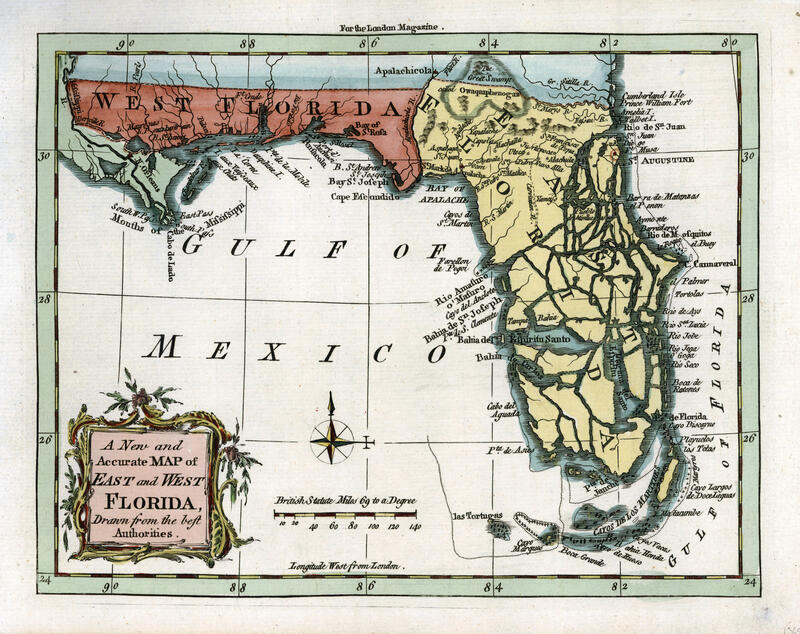 This interdisciplinary panel featuring two UWF faculty experts and two guest speakers will examine the important roles of Northwest Florida in determining the geographic border of the New World. Panelists will address the fascinating history behind defining Florida as a discrete territory. And they will conclude by highlighting the contemporary relevance of border disputes in Florida. At a very local level, territorial disputes continue to shape the coastal landscape - this time focusing on the fight between waterfront property owners and the general public over beach access. Visit uwf.edu/downtownlectures for more information.